Sending messages to students, teachers and parents is now an easy task to accomplish and thanks to award-winning student management system, Fedena which allows you send messages to all of the above mentioned recipients, individually or through automated mode. 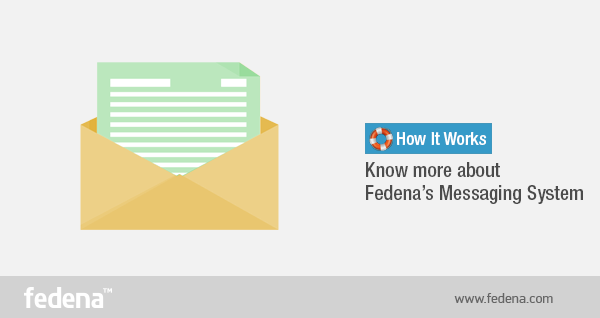 Read this article and know what the messaging system of Fedena has to offer you. You find the ‘SMS module’ in ‘Settings’ and you need to click on ‘Application’ in ‘SMS settings’ page. Once it is selected, it will activate the ‘SMS Home’ page, the screenshot of which is shown below. SMS Settings: On clicking this, you will be taken to the settings page where you need to click on application to update the details of the sms settings that you have purchased. The other ‘General SMS Settings’ options are also there which you need to select according to your needs. ‘Student Admission’, ‘Exam Schedule/Result’, ‘Attendance’ and ‘Events’ are the sections when selected, will generate messages to send to employees, students or parents, whoever is selected. Whoever you select to send the SMS, will appear in the SMS settings page. Send SMS to Batches: If you want to send messages to a particular batch, you can use this. SMS to Employee departments: Select any of the department employees that you want to send message to and write the message in the message box provided below. SMS logs: If you want to see the details and history of the messages already sent, then click on SMS logs and you get all the details. Send SMS to students: When you want to send messages to students, click on the batch and the particular students or select ‘All’. Send SMS to employees: Just like students, you send messages to employees as well and the respective department. Send SMS to all: Send messages to all- students, employees and parents with this option. The award-winning student information system, Fedena is user-friendly and offers modules and features that are easy to deal with. Being the head of your school, you have to manage a lot of things, sometimes working out of the way to make things fall in place. Searching through the vast database of student information is indeed a tough task to do. 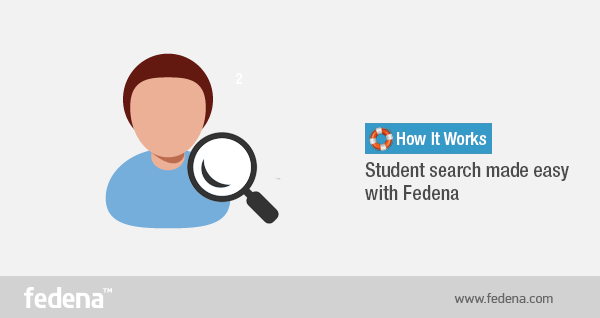 But with Fedena, the task is a lot easy as it offers smarter and better ways to search for students. 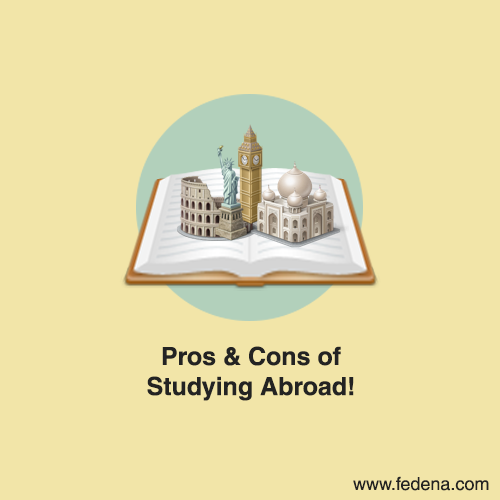 Read this article and know how the different ways available with Fedena facilitates your search for students. With Fedena, you search for students very easily, with the help of the various ways that are available in the software. 1. Search students using their admission number: You can search about any particular student if you have his/her admission number with you. For this, you need to go to ‘Dashboard’ and click on ‘Students Details’, it will take you to the search page where you can type the admission number and search for the student. 2. Search students using the first name or the last name: If you have the first name or the last name of a particular student that you want to search for, you can use the ‘Search’ option to do so. Below are two screenshots for searching students with first name and last name respectively. 3. Search students using the action search option in top menu: The action search option is available in top right. Type the first name or the last name of the student and find the respective student. When you type the first or last name of the student, make sure you select the option ‘Search students’, when you are looking for student. 4. Advanced Search: This is a great option when you want to search for students on the basis of any particular information like blood group and country. You can go to ‘Advanced Search’ via ‘Students Details’ and clicking on ‘Advanced’ available on the top right. 5. Search Former Students: You can also search for former students using the ‘Student Details’ search option. ‘Advanced Search’ also offers you the chance to search for former students. There may be times when you might want to revert any financial transaction that took place in your institution. Being a Fedena student information system user, you have already seen how easy it is to do financial transactions like Library fee, Tuition fee, Hostel fee, Transport fee etc. So far, Fedena didn’t allow you to revert any transaction that had taken place. But with the new Finance Transaction Revert feature by Fedena student information system, you can easily revert back finance transaction for modules like Transport fee, Finance fee, Hostel fee, Library fee and instant fee. Only if you are the admin or the privileged user that you can access this feature. 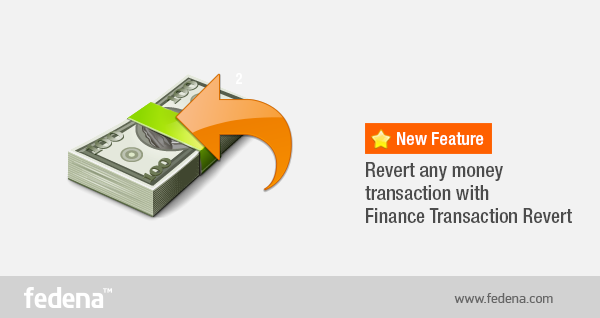 Read this article to know how the feature can be used to revert transaction in the above-mentioned modules. Each of these ways offer a fee submission form that includes ‘Payment history’. The list of all the transactions of the particular student along with the amount that can be revert back is seen in ‘Payment History’. The Instant fee section has the list of all Instant fee transactions with the option to revert each of them. To carry on this option, you have to follow the link in Instant Fees that will take you to Instant Fee transactions. Once Transactions is selected, you will find all the transactions in different categories and have the chance to filter them according to dates. Hostel fee is the rent that is paid by students and each of them has a fee submission page that includes Payment History. The Payment History also offers the option to revert any transaction. Payment History in the submission form of Transport fee has the revert transaction option. Any kind of financial transaction taking place under the Library section is in the form of submission of fines. In order to revert the fines, you need to go to the page showing all library fines which also offers you the option to revert. You can access the revert option page through the link available in the Library index page. All transactions in Library along with the revert option will be listed. You can also filter the transactions according to dates as well as payee name and admission number. Date, Admission number, Collection name. Plus, you can also do an advanced search for Reverted Transactions for which you need to go to Advanced Search option in Reverted Transactions page. Now, relax and don’t be bothered about any transaction mistakenly done in your institution for you have Fedena student information system’s new Finance transaction revert at your rescue. 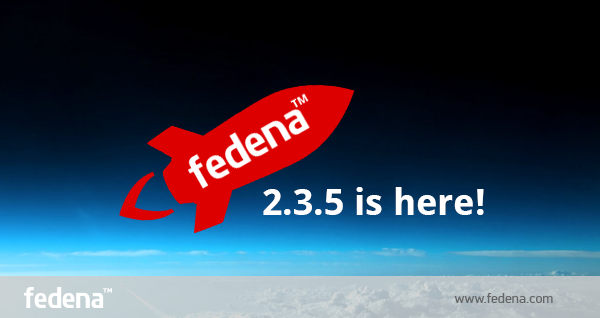 Within 3 months of release of Fedena 2.3.4 our product team has released further enhancements to Fedena Pro. What is new and great in Fedena 2.3.5? Release notes given below. Feel free to contact us if you have any doubts or suggestions. Prevent marking of attendance for employees before reset date. Already approved leave application can be denied later. Add employee id column in employee attendance report and its pdf. Prevent absent marking for future dates. Not possible to delete the student permanently if there is no existence of dependency. Deleted elective groups are also showing up while editing the normal subjects. No translation is added to the grouped batches page. Suppose, the employee has no examination privileges, no subjects assigned, not a tutor of any batch, then there is no need to show the examination link in the More menu. Currently, it is showing up,going to dashboard while clicking it. In CCE, if the FA groups are changed after marks are assigned, then the report shows the previously assigned wrong entries. Error in student/employee admission (Student’s date_of_birth and admission_date is blank, it shows error). Gender shows as Male in case of Custom Imported Employee data. Fees Particulars showing paginated results with no paginate links in the page. CCE report showing elective subjects that are not assigned to the student. Suppose the employee has taken the half day leave, then show (half day) in the pdf report also. CCE report shows FA1 and FA2 scores reversed in PDF report. Should not accept the negative values while editing the leave count from the employee profile. Should not show the fee collection for all students in the batch if the particulars are created only for one student. Deleted Elective Subject is shown in CCE student wise report. Should not allow deletion of the elective subject if any student is assigned into it. Maximum mark (0.0) showing in Grade wise exam. Remove the class_timings page from timetable, currently it is not in use in Fedena. Style issues in Teachers timetable. Style issues in Student Category. No message displayed if no search output is displayed in Search News. Style issues in Browse button (upload logo) in Firefox with Ubuntu as platform. Same message displayed in News module for Admin, student or parent login. Stored item cannot be deleted if no indent is created using that stored item. Hide assign button from elective subject assign page once clicked. Employee can apply leave for the same date many times if the leave for that date is already approved by the manager. It should be possible to apply the leave 2 times for the same date. Count showing negative if we delete the marked attendance that is marked before the resetting of the leaves. Biometric Id is deleted if we change immediate contact of student or manager for employee. Inactive leave types are also showing in the employee profile attendance report. Show error message while approving leave by employee manager if the leave limit is exceeded. Show the employee leave management link only if the employee has the employee attendance privilege. Future and current marked attendance status showing in the report after resetting the leaves. Fees status showing wrong in the student profile, if the fees is assigned through the fee import plugin. If the batch end date is exceeded then the batch should not show up inside the timetable time period after the batch end date. Grade showing wrong if we enter marks out of 10 in the marks field. Batch is not visible for batch tutor in the attendance register. CCE report shows wrong grade (lowest grade) if exam marks is nil for SA type. Show elective group name instead of showing the elective subject name in the student timetable view. Student timetable view not taking the class timing as per the timetable class timing setting. Missing template error in student#del_guardian. Calculation error in monthly attendance report. If Fees is zero then those students should not show in the fee defaulters list. SMS message sending fails if the mobile number has a space in it. SMS message text is broken from where & sign appears in the text. Going to dashboard if we select month and click ‘OK’ button without selecting any month and year in both subject wise and daily wise attendance type. Style issue in employee advance search pdf parameters. Footer style is broken in course edit page. Date of Birth is shown in case of Date of Joining in Employee Advanced search pdf. Fees Paid student are showing in defaulters. Rtl style issue in calender. While assigning a new batch to a class timing set, 500 error showing up. If there is no employee assigned in the elective subject then in the timetable, the two subjects are shown as one subject. While assigning students in the elective subjects, if we click the assign button continuously, students are assigned more than once for the same subject. Suppose we mark the attendance in future dates, that marked attendance count is effecting in the attendance reports only in the case of all subjects. Teacher’s timetable style is broken in employee login if the language is in rtl. Taking previous months in the attendance register form getting 500 error in subject wise. Date is not translated in the timetable view. Theme issue in the attendance register form. Attendance register form is not showing while selecting elective subjects if the subjects contain students. For the batch transferred students, the previous batch’s absent marked subjects are also showing while clicking current year reports. Check subject wise leave entry before student is permanently deleted. Going to dashboard, if we uncheck all the weekdays for the selected batch and save. If no timetable is present, opening the subject wise error raises ajax 500 error in backend. Calender is not translated in all the languages. Style issue add fine button in the fee submission form if the language is Mongolian. Rtl style issue in the fee submission form only in Mozilla FireFox. Arabic translation yml (ar.yml) is modified in core. Add model validations in Student and Employee. Incomplete days in the calendar while the language is in rtl. Response time is too heavy in fee collection. Getting error in the ranking level report if we change the exam type after the report is generated. Attendance Register Bug (Fetch only those timetable entry which belong to those class timings, timetable actually uses). Student attendance cannot be marked for a batch transferred student who has been marked future absent in the old batch. Should not accept the negative values for weekly classes while adding and editing the subjects. Redirect to user profile after changing the password of the user (employee,admin,student,parent). Optimization needed in Class timing sets. Report Graph not showing if marks not entered for a subject. Create a discount for the particular student and create the collection and then archive that student. But clicking the category name in fee collection is showing 500 error. Incorrect rounding off in Payslip. No need to show the blank tables if there is no students in the selected batch. Style issue in Assign Elective subject when student name is long. Should not allow space as text in instant fee fields while paying the fee. Header line is missing in the class time adding and editing box only when the theme is default. Translation issue in the timetable weekdays. Fields are not aligned in the employee additional details adding and edit page. Add smtp exception handling for user/forgot_password. No need to show the mandatory symbol for email while creating user. Here, the emails are not mandatory. Multiple Sms sending failing in Fedena. If letter ‘q’ is typed while changing the password using first time enable, it is not possible to type the letters. Instead, it is going to searching bar in saas. Assign one or more employees as a tutor for one batch and then delete the assigned employee, while clicking the assigned tutor going to dashboard. Style issue in the student transcript pdf report. No need to show the save button if there is no weightages ,observation groups and FA groups to select. Pdf report showing incomplete in the grouped exam report pdf and archived batches exam report pdf while language is in rtl. Style issue in the consolidated exam report pdf. Check rtl style also. No need to show the blank table and the pdf report link if there is no attendance report for the selected batch. Translation missing for weekdays in the teachers timetable, student and employee timetable view. Translation missing in the weekdays of the timetable view. Deleted finance category is showing while editing the incomes. Deleted finance category is showing while editing the expenses. If we inactivate all the available leave types, then all the leave types is getting hidden. Employee with event management privilege cant view the created events, only admin have the permission. No rtl style in new class timing set page. Sorting issue in timetable view page from student login. In rtl language, the class timings are not visible properly. Same page are looking different in both languages. Fields are disordered in the class timing add page in rtl language. Class timings sets name creation many times while clicking enter continuously. Show class timing sets in alphabetical order. Date of birth cannot be a future date while registering the student. Arabic translation yml(ar.yml) is modified. Should show the view online exam result option in the privileged employee login if the employee has the view result privilege. Suppose the student have issued any library books, then it is not possible to archive or permanently delete that student. But we can renew that issued book and then it is possible to delete the student. The fine amount must be positive numbers while returning library books with due. Open the pdf report in another tab in the library transaction page. Book details are not uploading through custom import, not showing any error. Other users can also get the permission to view the task assigned user list by changing the id in the url, even if that employee have not assigned that task. Going to dashboard while changing the immediate contact and while assigning sibling. Spelling mistake in the email alert show page. Store cannot be deleted even after an item present in it earlier was deleted. Style issue in Online Payment Setting page. No need to show the online transaction id if the transaction is not done through online in the print application. Show the archived student name in the online payment transaction details page. Online payment for transport is saving as hostel pay category payment. Hostel fees amount displaying incorrectly in transaction report. No need to show the blank table if there is no room details, hostel fee collections and fee defaulters. Suppose there is no vehicles to assign to the users, then also the flash showing ‘Bus edited successfully’, not showing any validation errors. Not possible to delete the employee and student permanently if there is no existing dependency. Transport total fee amount mismatch in the transaction report. No need to show the blank table if there are no users found in the vehicle and no transport fee collection for the selected batch. Wrong error message showing in gallery photo upload. In the student or employee login, the user get the permission to view other user photos, and the count of photos showing is wrong in gallery. Data Export Plugin generating blank csv. Getting 500 error while changing the id of the url of the assignment in student login. Getting 500 error while clicking update in the assignment edit page. Fee collection is not showing for all students of the batch in fee import. Style issue in the instant fee transcription report and the print receipt if the payment note and payment mode name is large. Serial number is coming in irregular manner in the new instant fee create form while adding new particular. Suppose we select the guest pay option in instant fee, then there is no need to show the select payee field. Receipt number showing incomplete in instant fee pdf. Guest payee payment is throwing 500 in instant fee module. If the additional details contain question mark,then the text won’t be showing up in the custom report. Student names coming twice while searching with input criteria in custom report. Add Address field in Custom Report generation. 500 in employee_timetable mobile view. Getting 500 error while changing the id of the url in online meeting rooms show page. Getting 500 error while changing the id of the url in online meeting server while editing. 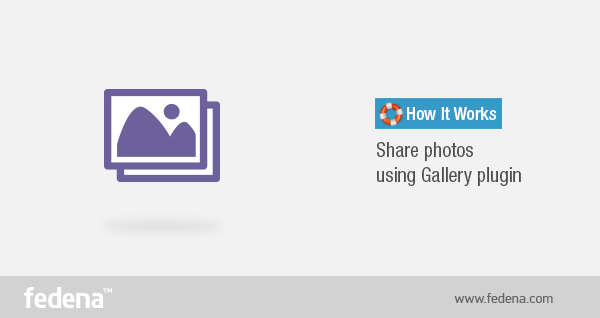 Sharing pictures with employees and students is now made easy with the amazing Gallery plugin from Fedena. At times, you may need to share important screenshots and pictures with your students or your employees, you might have been using your email for that. Sending them as attachments. But with the Gallery plugin by Fedena, no emails and attachment required. Share pictures and media in few simple steps. Learn how. If you are the Admin, you have the privilege to upload pictures and share it with your students or employees. Just go to your dashboard and find ‘Gallery’ in ‘More’. You have the option to create new categories and upload photos in that. Give a name to the category and save. Once the category is created, you will be asked to upload new photos or edit any existing photos in the category. ‘Add photo’ when selected will take you to a page where you need to upload the photo and also give some extra information like ‘Photo name’, any department you want to direct the photos to or any particular batch you want to select. In both ‘Department’ and ‘Batches’, you have to select any one from each of them and also, select the names you want in particular, or else ‘Select All’ which will select all the names. The names you select in both employees and students, will see the uploads in their respective accounts in gallery section. Only the selected people will be able to see the photos. Its only the admin and the privileged user who can upload and share photos with students and employees. Now you have a better way to control your hostel and manage it effortlessly. Wonder how? 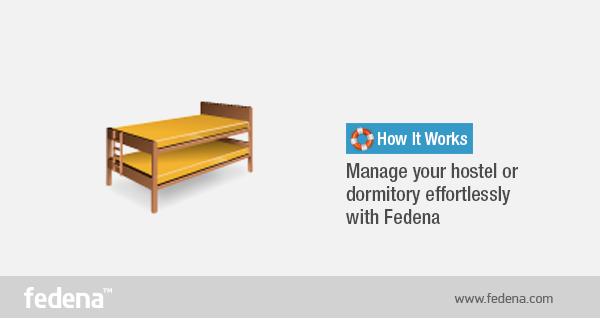 Award-winning school management software, Fedena offers you the solution- the Hostel module which has answers to all your problems related to hostel management. Be it the problem of keeping a track of fee defaulters or allocating rooms to new students, everything is easily maintained using this amazing module of Fedena. 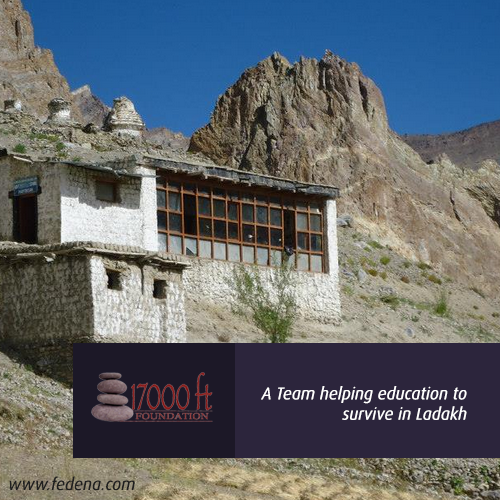 Read this article to know more details about the Hostel module in Fedena. Still using the same old method to transfer student names from one course to another after its completion? You must surely be finding it a lot tiring transferring them, writing their names once again under the new course and so, we bring you a solution to it. Get Fedena as it brings to you a unique feature, batch transfer that can help you do the tedious task in a matter of minutes. All you need to do is to go through some easy steps that will make the transfer faster. Described below are the steps that describe in detail how the transfer can be done. Login with your admin account to Fedena and go to ‘Settings’ in dashboard and then to ‘Manage Course/Batch’. 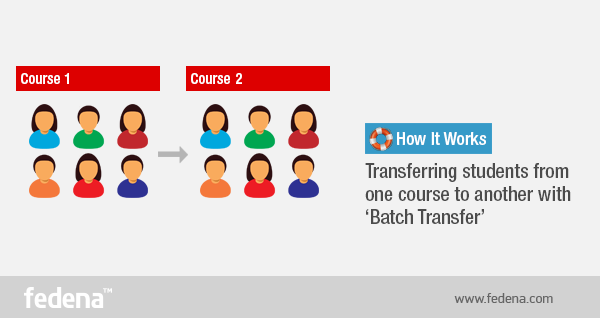 Finally you need to select ‘Manage Batch’ in ‘Manage Course/Batch’ and select ‘Batch Transfer’ to do the transfer of batch. Once you click on the course, it will take you to a page where you need to click on that particular course to select the students you want to transfer to the next course as well as the next course to which the students will be transferred. If some students are not eligible for the transfer, then uncheck the respected students and they won’t be transferred to the next course. These easy steps will help you save a lot of time once spent in transferring all the names of students one by one from course to another manually. Think smart and use Fedena. Prominent management guru, Dr Stephen Covey in his highly acclaimed book, ‘7 Habits Of Highly Effective People’ stresses some principles for personal growth, which are meant for life in general, a life that is beyond those monotonous office desks and business graphs. The seven habits mentioned in the book including being proactive, putting first things first, think win-win are some from the lot, are surely the standards to a complete, successful life. 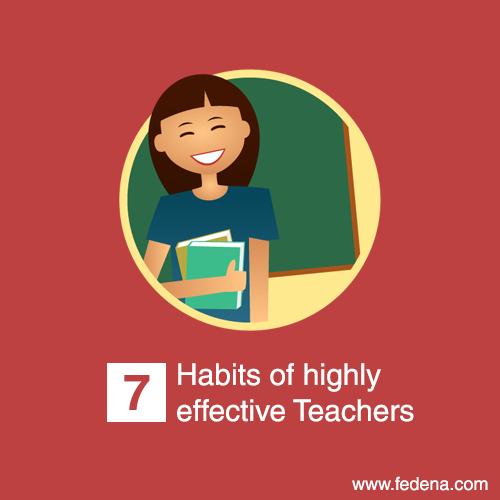 Now, this makes us wonder what can be the habits that make a great and effective teacher and after much research, we bring to you some habits that are surely the traits of an effective teacher. A very important sign of a good teacher is the urge to learn. An effective teacher must never stop from gaining knowledge. Learning from time to time is a good idea not only to improve your knowledge base but also know a student’s perspective. Being on the other side will help you get a good understanding of the learning process of your students. A little fun added to the class acts as rejuvenation from tedious class work and this is like stress-reliever for students. Moreover, a lively teacher is always loved and admired by students. So, don’t miss the chance of being a favourite teacher to your students. Everyday routine might be mundane, not just for you, but for all. Whatever happens, don’t lose your sense of purpose that will make your road smoother in future. When you have that purpose right in front of you, those difficult boring days will be easily passed by. A good and successful teacher will never duck from the idea of proper communication with parents. A parent has every right to get information about the ward and it is the duty of teachers to make communion with them and throw light on the student’s activities. So, regular communication with parents is a must-do. Read More: Teachers vs Technology: Can Technology Replace Teachers? Go out from the regular routine of class work and homework. For an altogether good and completely new experience, let your students think and act differently. 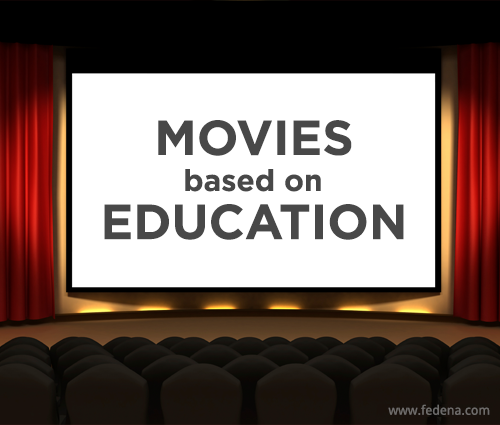 Like, after giving your class, some lectures about the World Wars, you can definitely let them go through some war-related movies or talk to ex-servicemen. These extra-curricular activities will engage more attention and excitement from students. With the present environment where technology has completely influenced education in all possible ways, there may be new tools introduced in the school curriculum. Be open to changes as these new innovations such as Fedena which is a popular school management software is something that’s going to make roads smoother for young students in future. Believe in your students. Yes, you need to believe that they will succeed and just see the high motivation in them to do it. Create an environment where your students won’t be afraid to fail and set them a bar to let them work hard and achieve it. 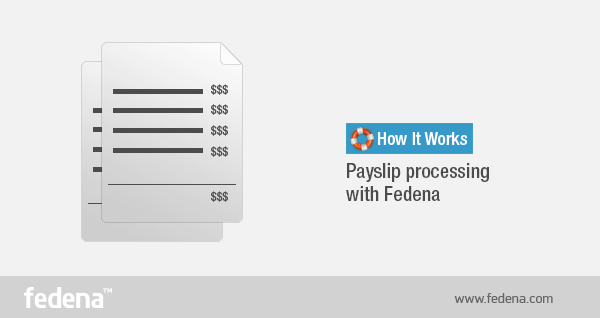 Generating payslip has become an easy task and all credit goes to award-winning school management software, Fedena. Gone are the days when you have to print the payslip for every month for each of the employee to make it available to them. Now, you have a better and faster way to do so. No need of printing pages after pages and asking your employees to collect it; you generate them easily and your employees receive even faster. Read on to find out how this fast method actually works. The very first thing that you need to do is to create a payslip for which you need to login with your admin account and go to ‘More’ and then to ‘Human Resource’, finally moving to ‘Create Payslip’. If you want to generate payslip of an employee from a particular department, you need to click on ‘Select employee’ which will take you to the page where you need to select the department as well as the employee. Clicking on any employee will take you to his/her payslip which you can generate. Once the payslip is generated, the respective employee can view his/her payslip in his/her account on clicking on ‘Salary’. Again, there might be situations when you will need the payslip of all your employees and for such cases, you need to go to ‘Employee payslip’ and you will be taken to the page. Select the department you want or you can let it be ‘All Departments’ if your target is all the departments in your institution. Finally select the month for which you want to generate the payslip and click on ‘View’. You can also get a PDF report of any employee payslip for any particular month.